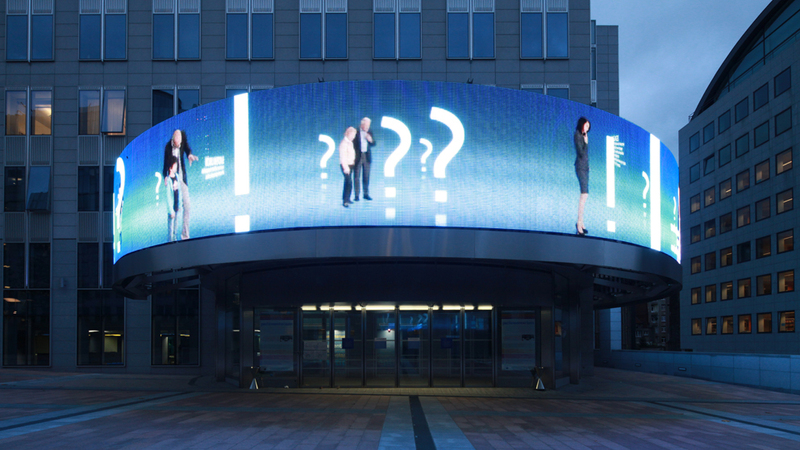 The Visitors’ Centre of the European Parliament uses multi-media and interactive applications to explain the history of the EU and the essence and work of the European Parliament – in 23 languages. The visitors get the opportunity to participate via a multi-media museum guide based on an iPod touch, which not only supplies information but also permits direct interaction. The area "United in Diversity" takes center stage of the exhibition. The central feature of the display is the floor map that stretches out in front of visitors for them to walk on. It shows a Europe with no borders. Visitors can explore this Europe by means of a mobile "ground-of-stories scanner". At so-called 'hot spots', they get information about European institutions and events. 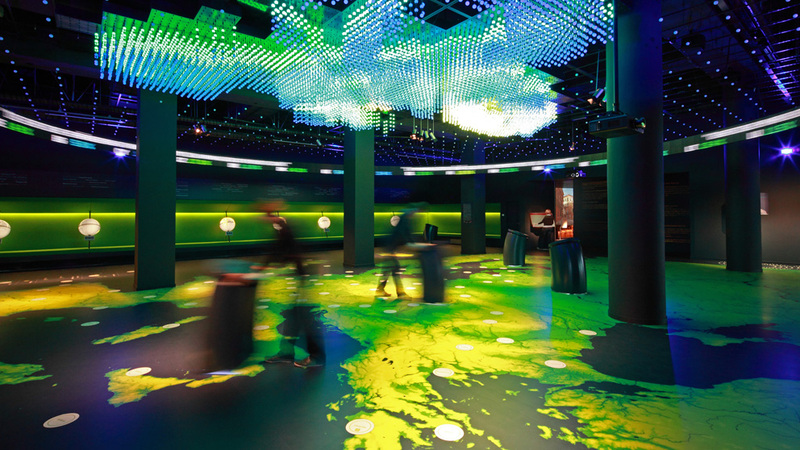 A 3D LED »cloud« in the outline of Europe is suspended from the ceiling of the space. On this »charted sky«, opinion polls are displayed. 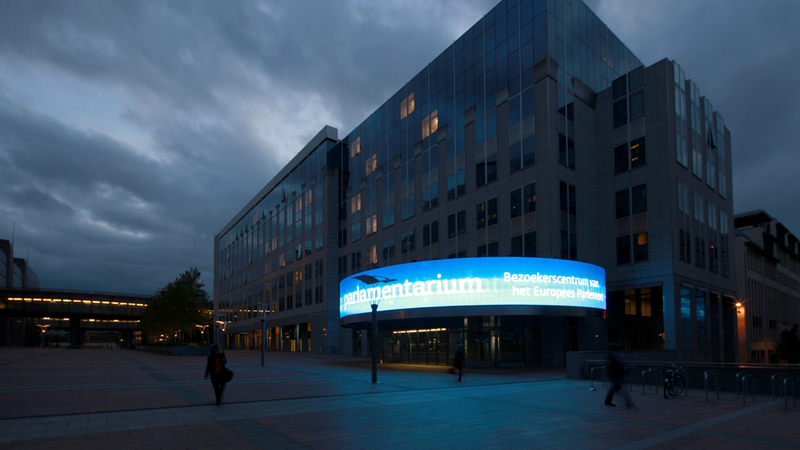 The two areas “Daily Life” and “Parliament” face each other on both sides of “United in Diversity’s” map of Europe and have as their central theme the two most personal views of the European Parliament – those of the citizens and those of the Parliamentarians. These two circular rooms immerse the visitors in a 360-degree film presentation.